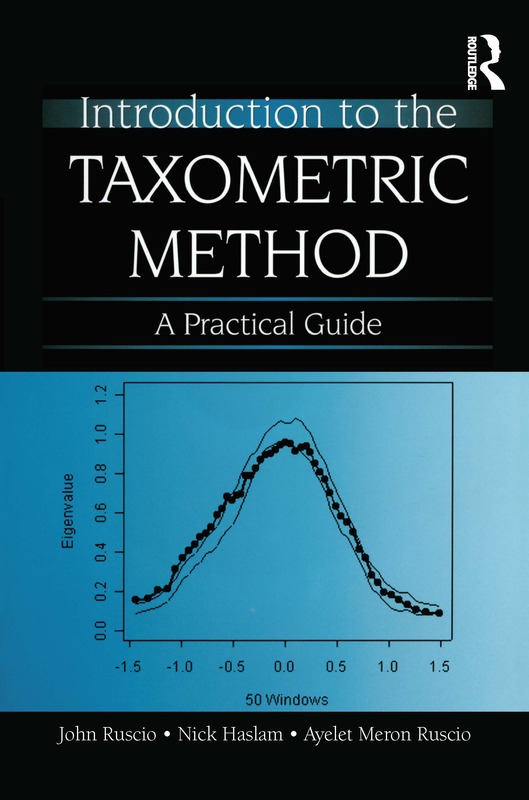 Introduction to the Taxometric Method is a user-friendly, practical guide to taxometric research. Drawing from both classic and contemporary research, it provides a comprehensive introduction to the method. With helpful tools and guidance, the book is intended to teach those new to the method, as well as those already familiar with it, tips on how to conduct and evaluate taxometric investigations. The book covers a broad range of analytic techniques, describing their logic and implementation as well as what is known about their performance from systematic study. The book opens with the background material essential to understanding the research problems that the taxometric method addresses. The authors then explain the data requirements of taxometric analysis, the logic of each procedure, factors that can influence results and lead to misinterpretations, suggestions for choosing the best procedures, and methodological safeguards to prevent erroneous conclusions. Illustrative examples of each procedure and consistency test demonstrate how to perform analyses and interpret results using a variety of data sets. A checklist of conceptual and methodological issues that should be addressed in any investigation is included. The accompanying CD provides a variety of programs for performing taxometric analyses along with simulations and analyses of data sets. Introduction to the Taxometric Method is ideal for researchers and students conducting or evaluating taxometric studies in the social and behavioral sciences, especially those in clinical and personality psychology, as well as those in the physical sciences, education, biology, and beyond. The book also serves as a text for courses on this method, or as a supplement in psychological assessment, statistics, or research methods courses.Familiarity with taxometrics is not assumed.